A grilled cheese shop is coming to downtown Baton Rouge on North Boulevard across from the under-construction library. 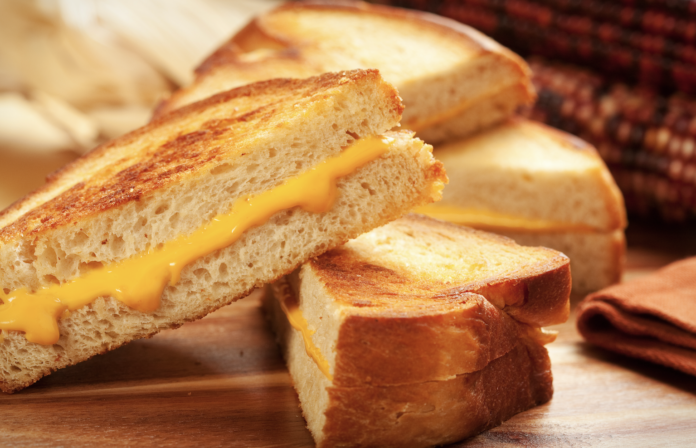 The grab-and-go eatery—aptly called The Grilled Cheese Shop—is the brainchild of Chad Volland, a former partner in nearby joints Stroube’s and Capital City Grill, who was also known for his investment in Capital Region locations of Cocodrie’s. Until his new venture opens in a few weeks, he’s helping out at The Register Bar, which his brother Rick helped develop. “We’re trying to do something simple,” says Volland, who is filling the space once belonging to Somos Bandidos, the taco bar that closed months ago after two years of business. The idea is based off a similar concept in Key West, where Volland’s friend runs a bar with a kitchen that serves grilled cheese sandwiches through a drive-thru window. Volland says he believes his concept—which has been in the works for about six months and is set to open March 18—will also take off downtown, attracting students who take field trips to the state capitol and a courthouse lunch crowd, among others. The shop will be open from 7:30 a.m. until 3:30 p.m. Monday through Friday, serving breakfast and lunch. Volland’s breakfast menu will feature breakfast sandwiches, muffins and a coffee station. His lunch menu, meanwhile, will include six to eight different types of grilled cheese sandwiches, varying in bread and cheese, as well as other items such as tomato basil soup, salads and pressed sandwiches.